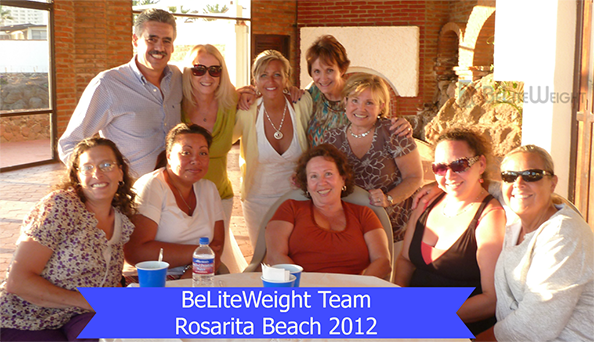 BeLiteWeight began in 2004, with a small group of passionate weight loss surgery patients. Our team started with only one surgeon offering Lap Band® Surgery (Adjustable Gastric Band). Over 10 years later, we are an equally passionate and vastly experienced group with over 12,000 successfully Banded, Sleeved or Bypassed patients. Our administration and Patient Counselors now encompass over 20 individuals. This experienced and dedicated team of professionals are devoted to helping people have weight loss surgery. Our surgeons offer the full range of Bariatric Surgery Procedures in multiple locations in the USA, Europe and Mexico. In 2007, we added a Medicare Coordination Department. This was an exciting expansion for us. We were able to offer patients who have Medicare parts A & B coverage, the opportunity to have weight loss surgery (Lap Band®, Gastric Sleeve or Gastric Bypass Surgery). We implemented a streamlined system to help patients navigate the challenging requirements of Medicare, in order to have their surgery quickly instead of waiting years. Today this department continues to serve the Medicare community in growing numbers. Our staff is empathetic to the struggles of obesity and the health issues that arise from being overweight. All of us have had weight loss surgery and/or have family members/ close friends who have, so we personally know what it's like to be in your shoes. Although we have a full range of information available on our website, it would be our greatest pleasure to speak with you about your personal situation. You can either fill out the contact form or call us today! We look forward to hearing from you.